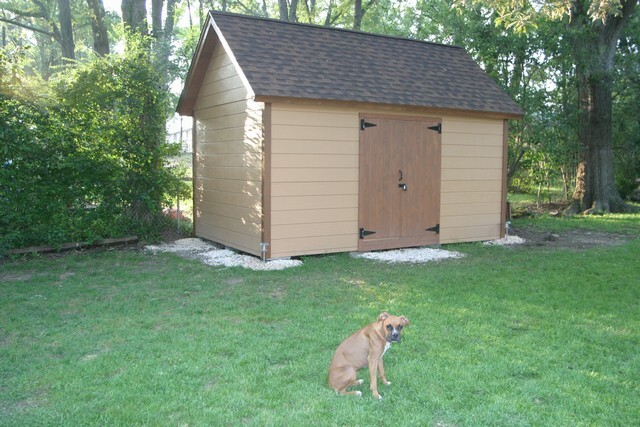 Hello, About a year ago I was looking for some plans to build a shed. I talked to Penny at Better Barns and she was kind enough to email me a pdf of the plans to see if they would work for me. They did work and I bought them. I was very happy that they came with a DVD of the barn building process. I am a somewhat handy person but I’ve really never built anything in my life. The plans along with your DVD were incredible and now I have a great barn. I’ve attached a picture of the finished product. I framed out the windows but haven’t put them in because we have some problems with people breaking into outbuildings. I also went with one door. Thank you once again and please thank Penny for me.